Prosper Henry discovered asteroid #148 Gallia. J. Palisa discovered asteroid #201 Penelope. G. Neujmin discovered asteroid #916 America. A Navy Viking 7 rocket set a single-stage rocket altitude record (219 km, 136 mi), the highest flight of the original airframe design. It reached 6600 kph (4100 mph) in a flight to study upper-air pressure and density, and solar and cosmic radiation. NASA launched Explorer 6 from the Atlantic Missile Range at Cape Canaveral, Florida, the first satellite to transmit images of Earth back from space. 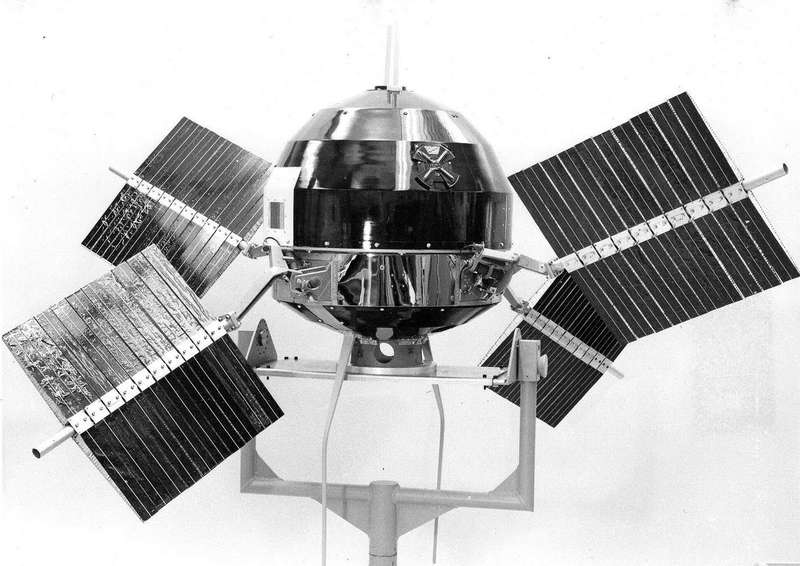 Explorer 6, launched 7 August 1959, was a small, spheroidal satellite designed to study trapped radiation of various energies, galactic cosmic rays, geomagnetism, radio propagation in the upper atmosphere, and the flux of micrometeorites. It also tested a scanning device designed for photographing the Earth's cloud cover which returned the first photos of Earth from space. The satellite was launched into a highly elliptical orbit with an initial local time of apogee of 2100 h. It was spin stabilized at 2.8 rps, with the direction of the spin axis having a right ascension of 217 deg and a declination of 23 deg. Four solar cell paddles mounted near its equator recharged the storage batteries while in orbit. Each experiment except the television scanner had two outputs, digital and analog. A UHF transmitter was used for the digital telemetry and the TV signal. Two VHF transmitters were used to transmit the analog signal. The VHF transmitters were operated continuously. The UHF transmitter was operated for only a few hours each day. Only three of the solar cell paddles fully erected, and this occurred during spin up rather than prior to spin up as planned. Consequently, initial operation of the payload power supply was 63% nominal, and this decreased with time. The decreased power caused a lower signal-to-noise ratio affecting most of the data, especially near apogee. One VHF transmitter failed on 11 September 1959, and the last contact with the payload was made on 6 October 1959, at which time the solar cell charging current had fallen below that required to maintain the satellite equipment. A total of 827 hours of analog and 23 hours of digital data was obtained. USSR's Vostok 2 landed after 17 orbits, piloted by Gherman S. Titov, the second human in space. USSR launched the Zond 7 circumlunar Earth return mission. USSR launched Intercosmos 3 from Kapustin Yar with East European experiments that studied protons, electrons and alpha particles. An Atlas F launched from Vandenberg, California, carried the OV1-20, OV1-21, Cannonball 2, Musketball 1, Gridsphere 1, LCS 4, Gridsphere 2, Rigidsphere and Mylar Balloon research, technology and calibration satellites into orbit. NASA Apollo 15 splashed down in the Pacific Ocean north of Honolulu, returning astronauts Scott, Irwin and Worden to Earth after their successful mission to the Moon. National Air and Space Museum Director Michael Collins advised JSC that NASM had established a center for research and study with responsibility for a complete library of Lunar photos to document scientific results of the Apollo missions. NASA's Viking 2 probe reached Mars and entered orbit. A. Mrkos discovered asteroid #3727. USSR launched IK Bulgaria 1300 (Intercosmos-Bulgar 1300) from Plesetsk for comprehensive investigation of physical processes in the Earth's ionosphere and magnetosphere, which carried Bulgarian instruments developed with assistance of Soviet scientists. An Ariane 44P launched from Kourou carried the Panamsat 6 commercial communications satellite into space, positioned in geosynchronous orbit at 43 deg W.
Russia's Soyuz TM-26 docked manually at the Mir space station for the Mir Expedition EO-24.